How do I favourite a class of mine? 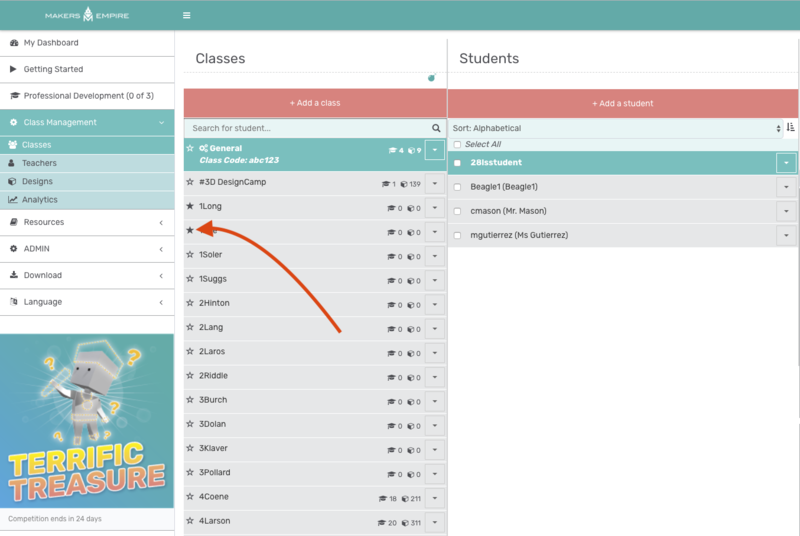 On the Classes page in the Teachers Dashboard, you can now star specific classes to mark them as favourites. We recommend you star any class that you teach or are interested in seeing reports for. Once you have starred some classes, we can then tailor your dashboard experience and reporting to focus more on these classes.